These 1950s school chairs are a fantastic addition to our extensive range of stacking chairs and vintage seating. Originally acquired from a large boarding school, these vintage chairs have a tubular steel frame with brown paintwork, and a steam-bent plywood seat and back. 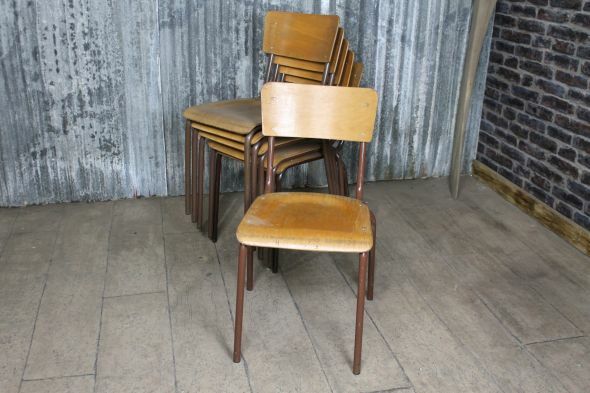 These fantastic 1950s school chairs would be ideal for use in a restaurant, bar or kitchen – their stacking ability makes them a practical choice for a range of spaces. The chairs are in good condition for their age, but will show some signs of wear and tear due to having been in daily use over a number of years; however, we feel that this only adds to their charm. 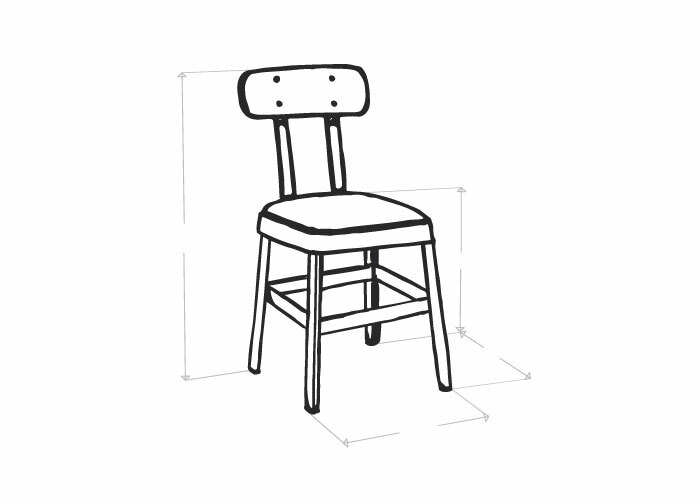 We stock a wide range of stacking chairs in a variety of styles and colours. Browse our website to see the full collection. Please note the price is for one chair only, but we do have more in stock.